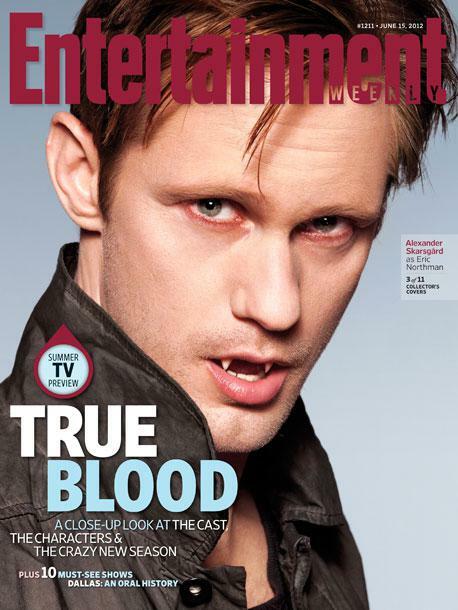 Ok it’s now official, Alexander Skarsgard is trying to kill us today. 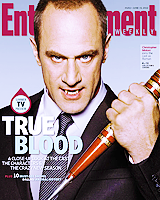 That cover photo is just SO Eric Northman it makes me want to break down and weep (until I remember he is back in 4 days time – yeah!). 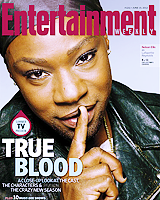 Entertainment Weekly has released 11 new True Blood covers, and yes I do mean 11 . 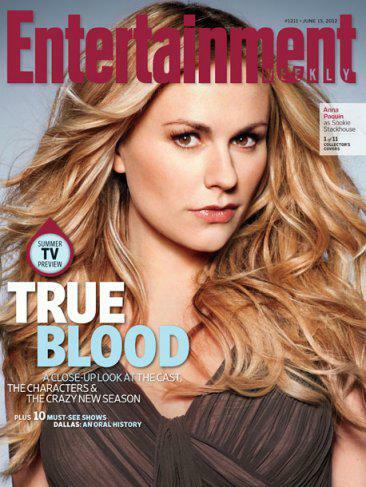 Naturally they include our leading lady, Miss Sookie Stackhouse. And this rather awesome one of Eric’s awesome progeny Pam, looking completely awesome. 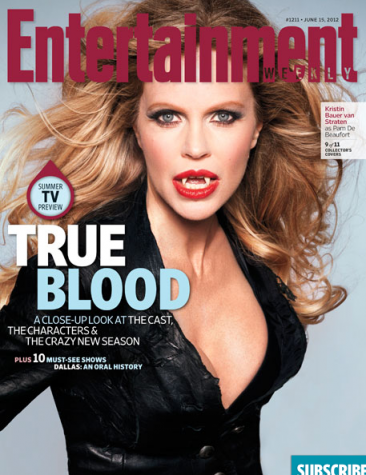 They also have new some stills including this one from Fangtasia. And don’t forget to let us know which are your favorites and which one you will be fighting in the aisles to buy.